Delivering simple, easy-to-apply tools and resources for organizational change, designed for managers needing a quick, cost-effective path toward organizational improvement without having to spend a great deal of time studying or hiring a consultant. Dr. Ross Wirth develops online courses and consults in the areas of organizational change and strategic leadership. Previously, he served as the Dean of the College of Business and Program Chair for Business Administration at Franklin University. Earlier, Dr. Wirth worked 32 years in international oil and gas where he served in many management positions, often involved in strategic & operational planning, business development, performance management, and organizational change initiatives. Over his career, functional leadership spanned IT, retail & wholesale marketing, supply & logistics, corporate planning, and human resources. 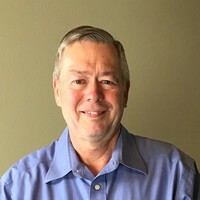 Dr. Wirth earned an MBA from New Mexico State University, and a Ph.D. in Applied Management and Decision Science with a specialization in Leadership and Organizational Change from Walden University.